It’s the tail-end of January and snow blankets the Headingley outfield at Yorkshire County Cricket Club. You can imagine groundsman Andy Fogerty greets such seasonal novelties with stoicism; an eye already on a packed summer of cricket ahead. Speaking of planning, wherever you look, there are changes afoot across the board with the County Champions. Off the field, it’s all go from the forthcoming departure of long-time benefactor Colin Graves for ECB duty to the installation of permanent floodlights. For on-field developments, who better to get the latest thinking than Yorkshire County Cricket Club’s Director of Cricket, Martyn Moxon? Primarily front of mind was the answer to pressing questions on the minds of county fans and media alike around the makeup of the 2015 squad. 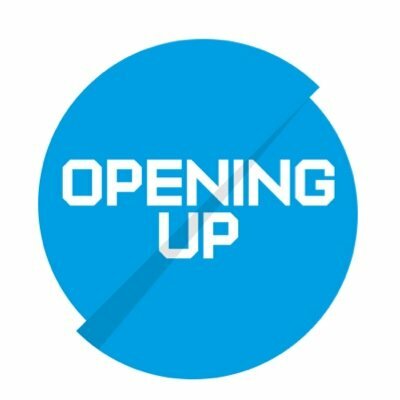 Who will open the batting for Yorkshire against Leeds Bradford MCCU on Tuesday 7 April? Yorkshire are well versed with supplying England with their opening batsmen down the years. To this day, England selection of Yorkshire players is a thorny contradiction for White Rose fans that can both delight and niggle, sometimes in the same breath. 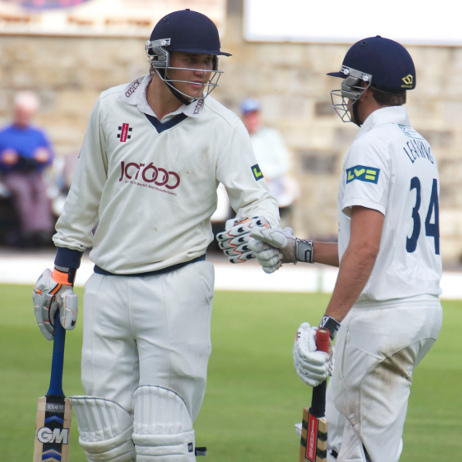 Joe Root’s ascension was covered admirably by the rapid development of Alex Lees, who went on to form a rapier partnership with Adam Lyth to devastating effect in 2014. Now the selection of both Alex Lees and Adam Lyth for England Lions duty this winter hints at a quandary for Martyn Moxon. If only he had a crystal ball. We can all speculate until the cows come home (they’re probably sheltering from the snow that is steadily falling as this article takes shape). But IF England pick both (or either) Lees and Lyth for the tour of the West Indies in April and early May then a completely new Yorkshire opening batting pair will need bedding in for the new season. Obviously that process doesn’t begin on Yorkshire’s pre-season tour to Abu Dhabi in March but in the winter nets that are underway and subsequent cricket-specific training. Whereas when Joe Root disappeared for England duty, Alex Lees was the natural successor with plenty of runs in the bank with the seconds and glowing references, this year the picture isn’t as crystal clear. Was there a process underway to identify and hone one, or perhaps two, new opening batsmen? In short, yes, though Martyn’s initial response stopped of a world exclusive on who that might be. We are doing some specific training with a couple of lads, we have targeted several options and we are specifically working with them this winter to try and get them as ready as possible. Nor did I expect him to. So I made it easier by naming those Yorkshire players I believe are in the frame to opening the batting if Lees and/or Lyth are with England. Apparently, I’m on the right lines. 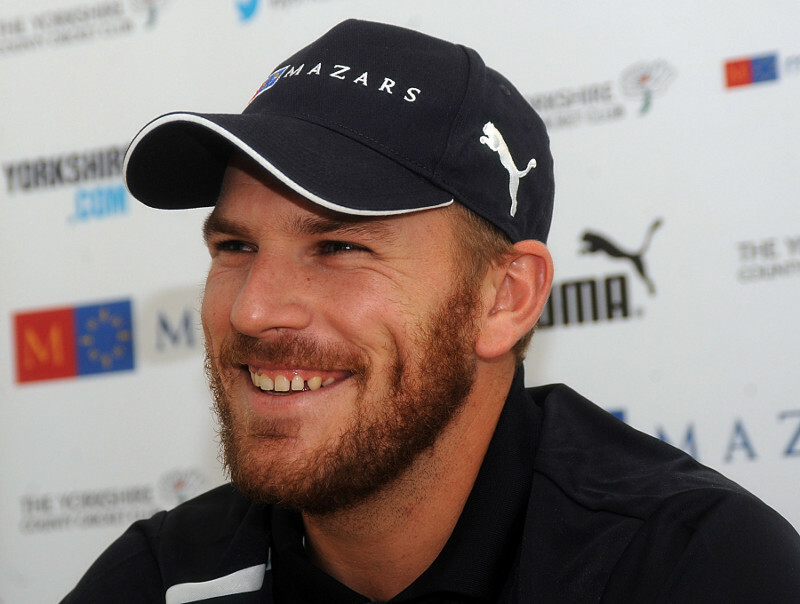 Jack Leaning made quite an impression in 2014 by cementing a place in the Championship eleven with three fifties and notched his maiden first-eleven century in the Royal London one-day Cup match at Scarborough. The twenty-one year old has developed his game at York cricket club and has once again worked on his game at Sydney grade club, Sutherland, in the winter. Leaning has opened the batting for York in the ECB Yorkshire League though he’s since comfortably slotted into Yorkshire’s middle order. Jonathan Tattersall open the batting for England under-nineteens and Yorkshire seconds last year; the latter as captain and while he didn’t break into the Yorkshire senior squad, he remains highly rated. Meanwhile, Tattersall’s opening partner in the seconds, Eliot Callis, can certainly belt a cricket ball and the twenty-year-old from Doncaster will be hoping to mimic the progress of Alex Lees. 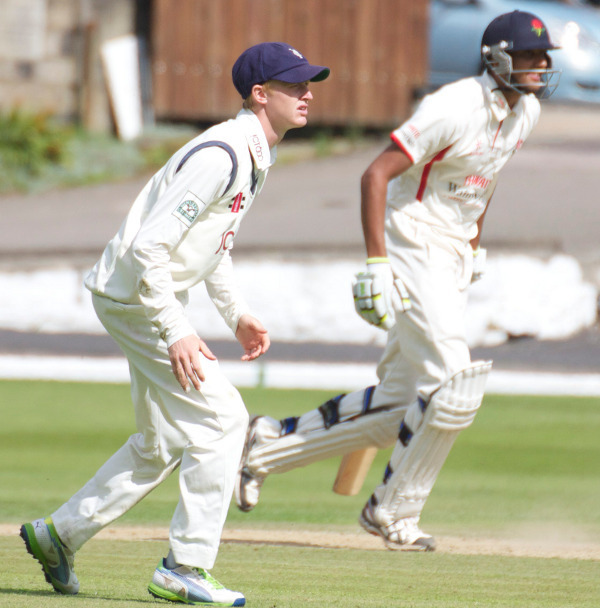 Last season, Yorkshire Academy made history by winning the league and cup double for the first time and Callis was instrumental, hitting 890 runs. 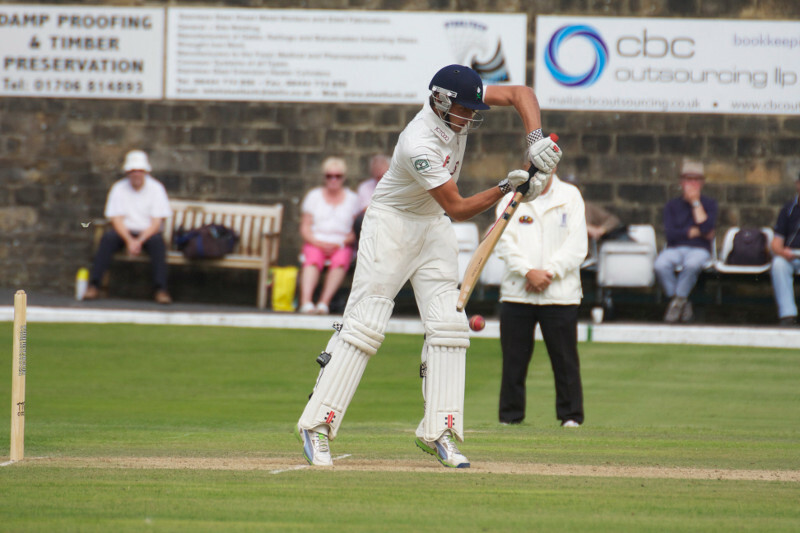 Who will Yorkshire’s overseas players be for 2015? Since talking to Martyn Moxon a week or so back, we all now know that the dynamic Australian batting duo of Aaron Finch and Glenn Maxwell are Yorkshire’s 2015 overseas signings. 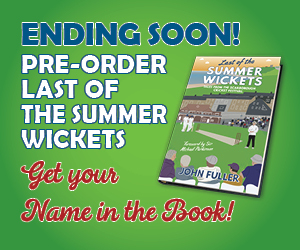 Finch is available in all formats while Maxwell has been signed up for the NatWest T20 Blast. They are big box-office names who will belt the cover off the ball, score at a crazy rate and offers a clear statement of intent by the county champions. When talking about overseas possibilities with Moxon prior to the Finch/Maxwell swoop, he revealed the county were working hard on getting a definite decision from New Zealand about Kane Williamson’s availability prior to their tour of England. Given how well he slotted into Yorkshire’s team and his phenomenal volume of runs for his country, Williamson would have been first-choice but news came back that availability was an issue. Williamson has also been playing cricket non-stop for the past three years and after the World Cup, resting such a key player may well have been a priority. No matter, the return of Finch, who has captained Australia since playing for Yorkshire, will be huge for both county coffers and their chances in all formats. Things tend to happen when Glenn Maxwell is at the crease so life will not be dull in the NatWest T20 Blast, that’s for sure. His fielding can be dynamite and offbreak bowling has already been entrusted for Australia’s one-day side where he has the second highest wicket-taker in 2014. Maxwell has had stints in county cricket with Hampshire and Surrey and retains a refreshing ability to hit the ball just about anywhere on a cricket field. We had the Twitter hashtag #finchfactor and yellow builder’s hats with the arrival of the Victorian batsman last season. Expect the Yorkshire County Cricket Club marketing team to be working overtime to make the most of Maxwell so #maximuscle perhaps? Hmmm. That’s already a sports supplement so maybe not. A work in progress then. How about hitting a #maxi-mum? No? Tough crowd. He has a clutch of nicknames of varying degrees of flattery to work with: Maxi, Million Dollar Baby, The Big Show and Manwell. 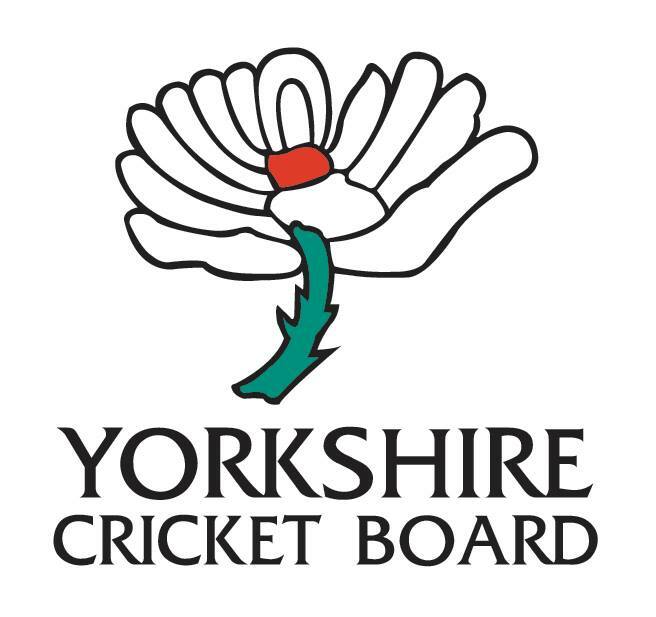 Once concern Yorkshire fans might have is that while the quality of the signings is not in dispute, how many games they’ll end up playing for Yorkshire. Both Finch and Maxwell will be part of the Indian Premier League (IPL) which finishes in May. Due to international commitments, Finch might then be missing from late August onwards when Australia play Ireland then a T20 in Cardiff and the five Royal London ODIs. That raises the prospect of the county champions being without an overseas player for the crucial final month of September when they play Championship fixtures against Somerset, Middlesex, Hampshire and Sussex. In fact, Yorkshire will currently begin and end the 2015 season without an overseas player with plenty of crash, bang, wallop in between. The county haven’t ruled out a short-term signing to cover before Finch arrives and there’s the potential for Kane Williamson’s return in September. As Moxon acknowledged, the preferred route for Yorkshire would be signing one overseas cricketer; able to bed in with the squad all season as Williamson did (except a short tour with New Zealand). With the international fixture list as it is and the IPL, it’s damn near impossible getting someone for the whole season so you have to accept there’s going to be some chopping and changing but we want to keep that to a minimum. Martyn and I wrap our discussion by talking about the envious glances county fans are having at the high-profile success of the Big Bash in Australia with its stars and huge crowds. How to improve the T20 experience in England? How have Yorkshire found the NatWest T20 Blast – with its weekly Friday night slots – and what improvements would Martyn Moxon like to see? I think the problem we have now is attracting the big names of international cricket. That isn’t an easy thing to solve. If we are going to change it, it would be so the top international players were available. I don’t know, without looking at the international fixture list, what time of year that would suit best. Moxon went on to say that there have been changes in domestic T20 in the last few years without it making “a whole heap of difference” although he felt that Friday nights was a favourable time for the shortest format of the game. So, there are still a few lingering questions that are yet to sort themselves out regarding who will open the innings for Yorkshire and whether Finch can knock out the Carnegie Pavilion windows – but there’s definitely much to look forward to. 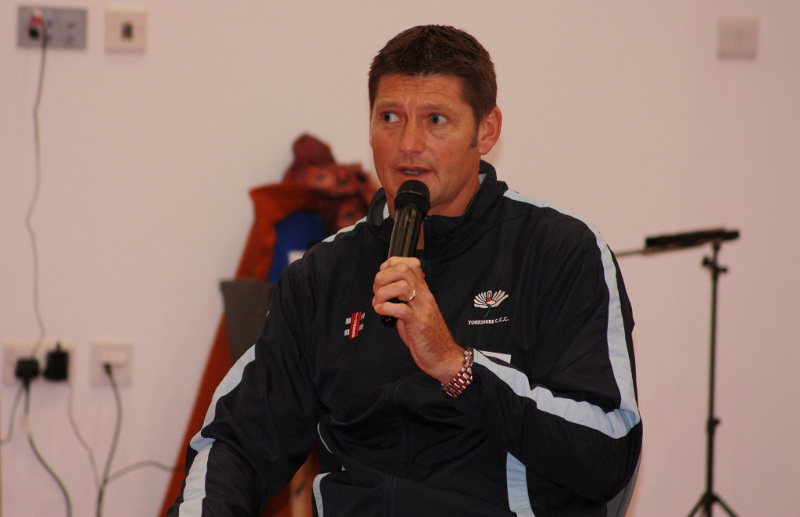 * The image of Martyn Moxon is at a Q&A in Hull for what is now known as Chance to Shine Street; the cricket programme for inner-cities including Dewsbury and Hull.